A successful home purchase or sale nearly always starts with a good agent or broker. Real estate is a complex and continually changing business, and Big Sky agents and brokers are trained and educated in its many rules, regulations and standards. They have the inside scoop on different Big Sky, MT neighborhoods and areas and know what constitutes a fair price in the market. Hiring a pro in Big Sky, MT also means you won’t have to deal directly with the prospective buyers or sellers, which may save you some tension. Not all agents are created equal. I am a lifestyle matchmaker. I specialize in working with clients ready to live their lives the way they really want. My sales negotiating methods and transaction management systems exceed industry standards, providing a more efficient worfklow from contract to close than what you'll receive from the average agent sitting at their computer. I am constantly working on my precise systems that are built to bring about the best selling experience for my clients. By efficiently managing all of the "normal" situations that arise during a sale, I have more time to manage the inevitable surprises with more care, energy and attention. The result is less surprises, happier, calmer clients and a great real estate experience. I am in real estate because I have a passion for helping others succeed in it. 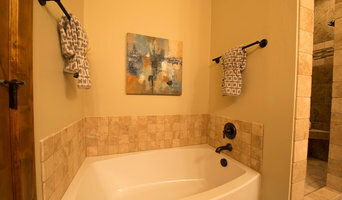 I love working with both Buyers and Sellers. I have a positive attitude and excellent negotiating skills. Real estate transactions can be stressful or overwhelming to many. I make it a fun, easy, and smooth process. I love to take on new challenges, to learn, and to grow. I am successful when my clients are happy. The majority of my business comes from the referrals of past and present clients, and I've made many great friends along the way. In my free time, I love hanging out with my husband and our 3 teenagers (obvious negotiating skills required). We spend a lot of time outside, enjoying life in MT and exploring the world beyond as well. L&K Real Estate, Development and Consulting is a boutique brokerage based in Big Sky, MT with over 50 years combined experience and over $1billion in sales. Specializing in luxury lifestyle properties, we work with clients to assist with their real estate needs. We understand real estate from land development to marketing and sales of finished products. 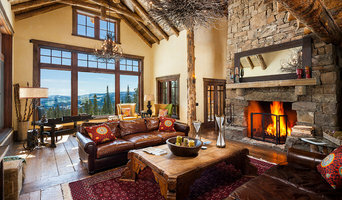 Our experience varies from consulting on international residential and commercial development projects, to representing luxury listings in SW Montana including properties in Yellowstone Club, Spanish Peaks, Moonlight Basin and Bridger Canyon. Our personal approach and strong marketing influence is a refreshing change to the current standard in the Real Estate industry, working as a licensed team to represent our clients, rather than individual competing agents. 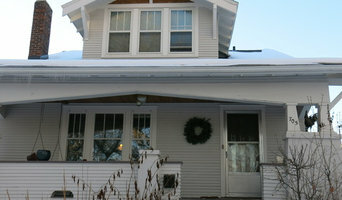 Bozeman Real Estate experts since 1971. Coldwell Banker RCI Realty is a full service real estate firm in Bozeman, Montana specializing in Residential, Commercial, Land & Ranch, and Investment properties. Our agents are dedicated to making your real estate experience a great one, whether you are looking to buy or sell. You can find out more at cbrci.com. Provide the best service possible to ensure my clients needs are met. Buying and selling real estate can be fun and challenging at the same time, that is why my mission is to educate and support you while Guiding You Home. At Venture West Realty, we pride ourselves on building personal relationships with our clients, helping you through every step of the home buying or selling process — whether you are looking to sell an existing Montana property, or purchase a new one. Our office locations in Bozeman, Three Forks and Butte, allow us to act as a proactive team throughout the diverse and beautiful areas of the region so we can work with you to find your piece of Montana. Samantha Fish is a licensed REALTOR® who works with Dan Porter at Bozeman Broker Group. Samantha is a Bozeman native who loves hiking, reading and spending time with her family. She graduated from Northeastern University in the summer of 2010 with a degree in International Affairs and has lived in New York, Boston and Cairo, giving her a well-rounded perspective of business and real estate around the world. She has worked with Dan since 2014 as a marketing and social media specialist, before obtaining her Real Estate license in May 2015. The Black Diamond Montana Group is a dynamic team with one goal - To make every real estate transaction a success. Black Diamond Montana is one of the top performing teams in the state of Montana. We have assembled a core team of specialists that excels in Bozeman area market research and trends, marketing, contract knowledge and negotiation. 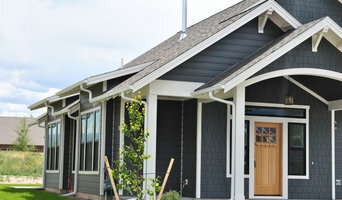 Five Star Customer Service oriented real estate company in Bozeman, MT. I specialize in the foreclosure, luxury, and new construction real estate markets. I take pride in the high quality customer care my clients receive. 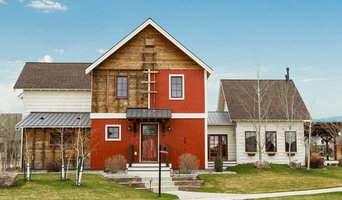 Montana Real Estate Group, LLC is a small, local, Bozeman based real estate business. Serving in the commercial and private sector for seventeen years in the Greater Gallatin Valley. Hello- I am a licensed real estate salesperson working for Montana Territorial Land Company. Montana Territorial is a well-established office having been in West Yellowstone for 20+ years with plenty of marketing prowess and experience. I was born and raised in West Yellowstone, MT, and have extensive knowledge of the town and surrounding areas. In addition to real estate I manage Madison Crossing Lounge- a gastropub style restaurant open nightly for dinner, and coach junior high boys basketball. I love to take advantage of everything the area has to offer by frequently cross-country skiing, hiking, biking, fishing, and simply enjoying the outdoors and seasonal variety. By choosing me as a real estate agent you will be choosing someone with a hard work ethic who is dedicated to helping you find exactly what it is you are looking for. My name is Shawn Moran and I am a dedicated and successful real estate professional in this local area. My personal goal is to simplify the process of buying and selling real estate, and to satisfy everyone's needs to the best of my ability. My extensive experience and proven track record are factors you can count on when working with me. I use the latest technology to understand the current market and to make the connections necessary for our success. Please enjoy my website. It is just one of the many successful tools I use to assist my clients in marketing their real estate. Full time agent since 1999. Graduate of Real Estate Institute - GRI. Certified Residential Specialist - CRS.